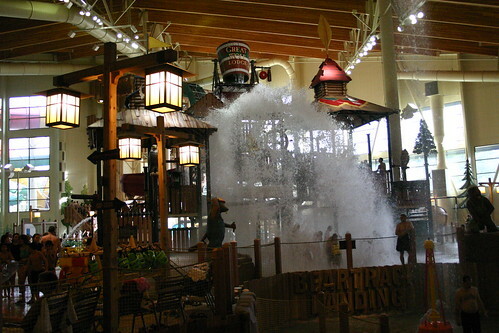 This sequence of photos is from the indoor water park at Great Wolf Lodge in Grand Mounds, Washington. That’s 1000 gallons of water spilling from a very large bucket, suspended maybe 40 feet high. 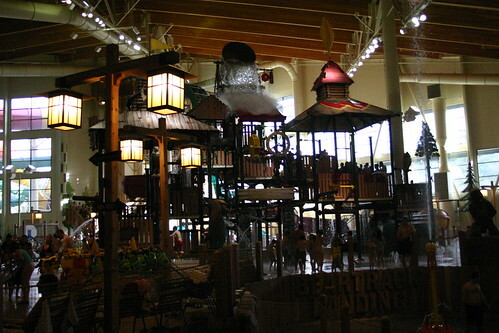 We celebrated the kids and my birthday here, a chain hotel and water park about 70 to 80 miles from our house. 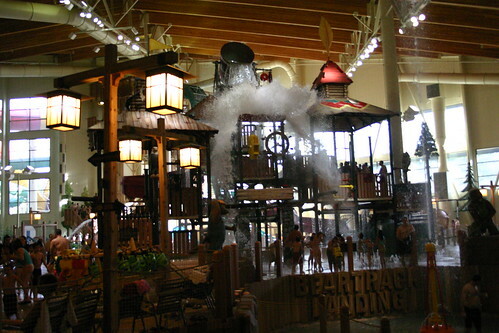 We had fun, but everyone agreed it was not as good as Camelback, the water park in the Poconos that my sister Tina and her husband Steve treated us to the last time we were in Pennsylvania. That’s some huge bucket of water. Hope you had fun. I needed that, thx a lot mate.